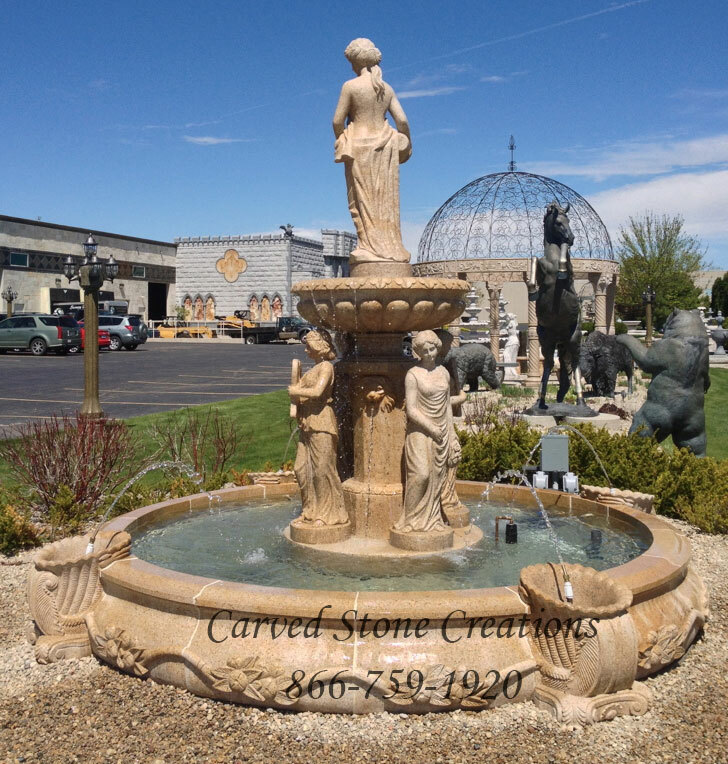 Make your landscape stand out with a one-of-a-kind stone fountain! From small basin fountains to large estate fountains, the design options are endless. Fountains add a soothing sound and relaxing sight to your landscape with flowing water. Check out five beautiful fountains that will enhance your landscape. This stunning fountain will add a classical element to your landscape. 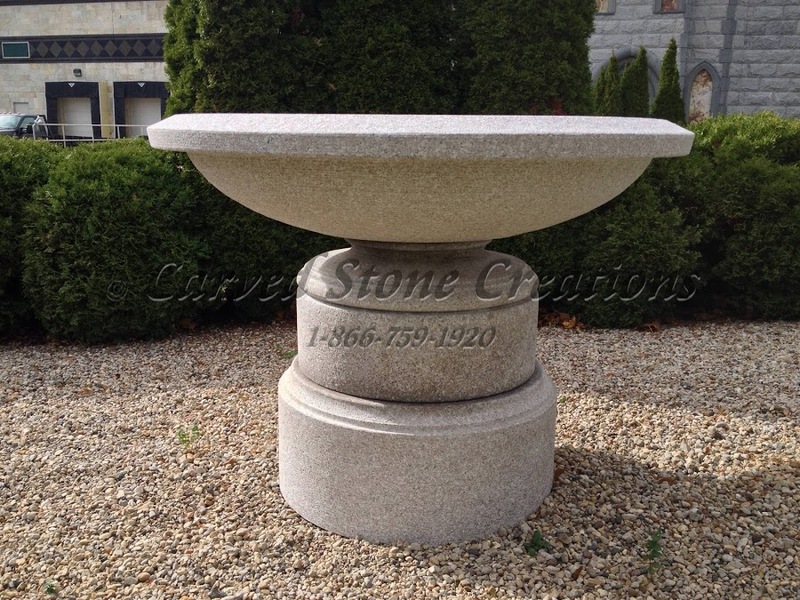 It is handcarved from Wild Rose granite and features intricate scroll details on the basins. This fountain is breathtaking on its own, but it also looks great with a spray ring to add extra drama to your landscape! Column fountains bring rustic and modern style together. The simplistic shape of the columns mixed with the rustic basalt stone is a match made in heaven! We offer these column fountains in a variety of heights and diameters, so there is sure to be a column combination to fit your space. This contemporary fountain features a five-foot-wide basin sitting atop a simple pedestal. This particular fountain is handcarved from Wild Rose granite and features a bush hammered finish, but this style of fountain can be carved from a variety of stones. Picture this beautiful fountain tucked away in your garden oasis. The soothing sounds of trickling water will create a relaxing space for you to sneak away to. Wall fountains sit flush against a wall and spill water down into a basin, so they work great in many smaller spaces. 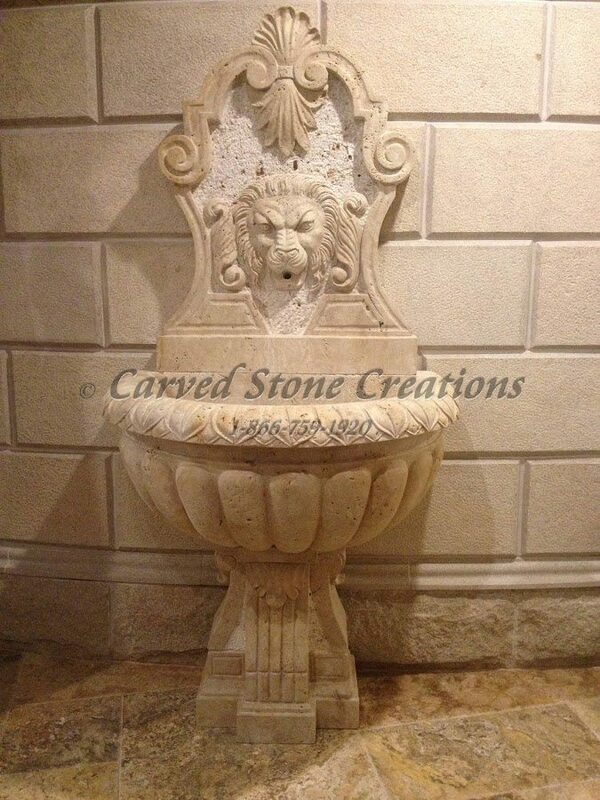 Make a true statement with this large statuary fountain! It features four intricately carved statues situated around a central pedestal. Another beautiful statue stands on top of a basin above the other four statues. Water cascades over the basin into a stunning 12-foot surround while lions carved into the base also cascade water. When this fountain is running, it is a true sight to see! Do any of these fountains catch your eye? Contact us to start transforming your landscape into a stunning sight!